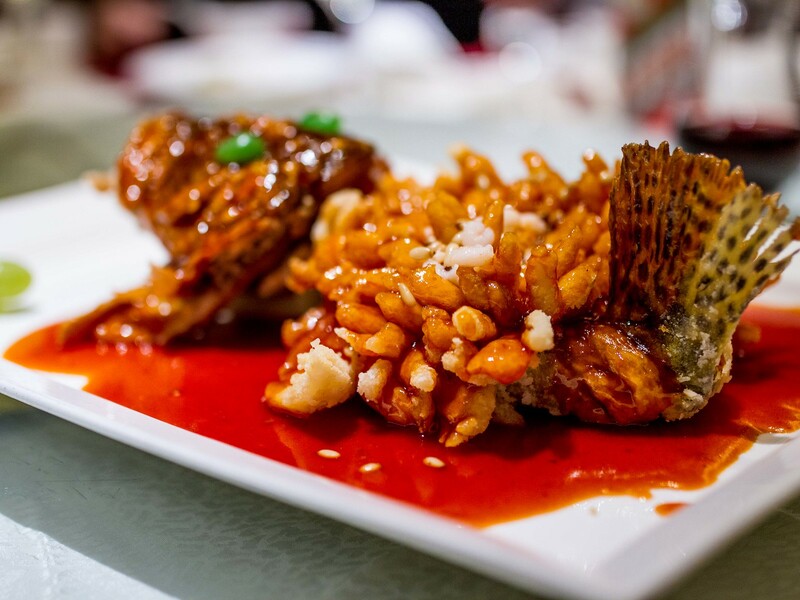 Song He Lou is one of Suzhou’s oldest restaurants with over 200 years of history including multiple visits from Qing dynasty emperor, QianLong. 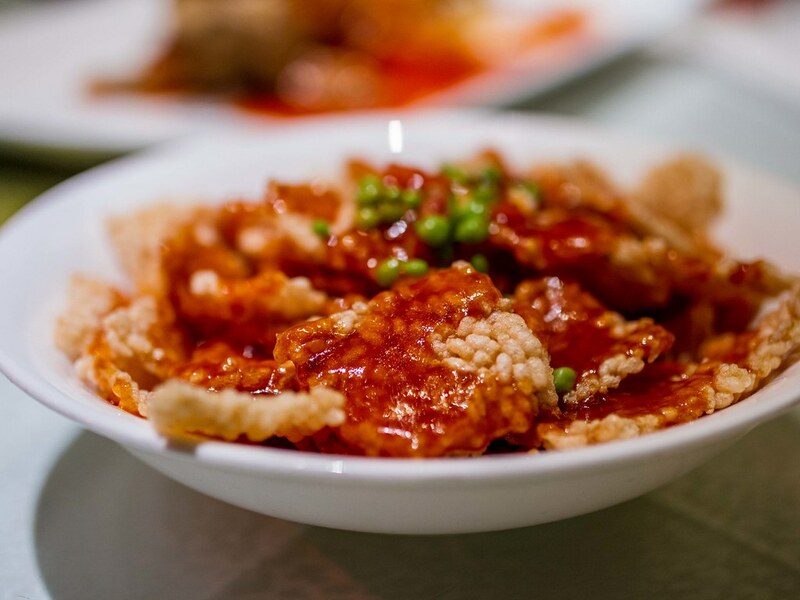 Located near the heart of Guan Qian shopping district, the restaurant has continued to serve traditional Suzhou dishes under the glow of neon signs. A dinner at Song He Lou was my request during this trip home. In 2012, one of my dad’s old friends from university brought us and I fell in love with their squirrel fish. 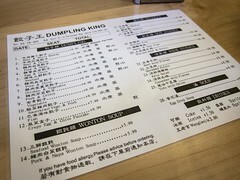 Nothing I had eaten before or since even came close to Song He Lou’s. This year, I went with my parents, aunts, uncles, The Hubby and his family who were visiting Suzhou for the first time. I couldn’t think of a better way to show off my hometown’s cuisine. 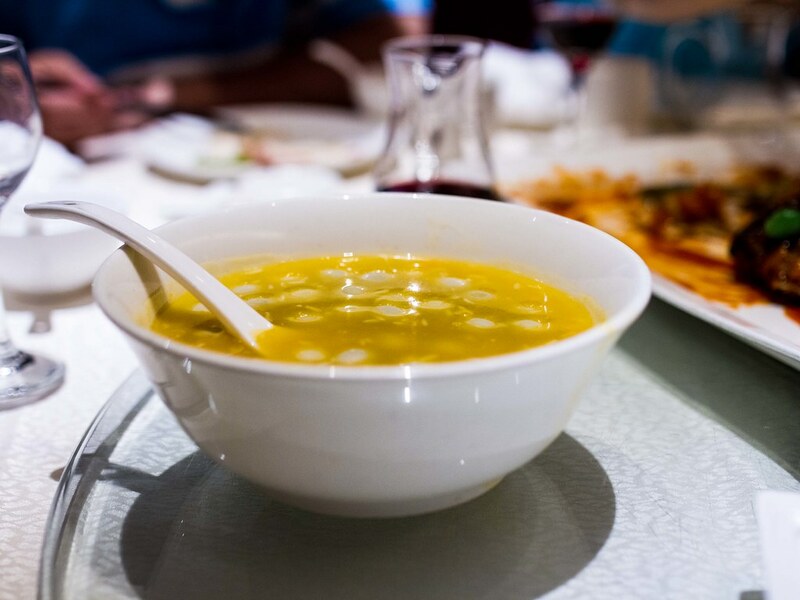 In China, most mid-upscale restaurants have an open dining area and floors of private rooms. Reservations will be for a private room and rooms are booked for the entire evening. Often, parties consist of large family gatherings and can easily have over 20 people. 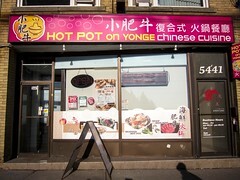 The rooms allow diners to enjoy themselves, often boisterously, and comfortably. Most restaurants also allow BYOB. 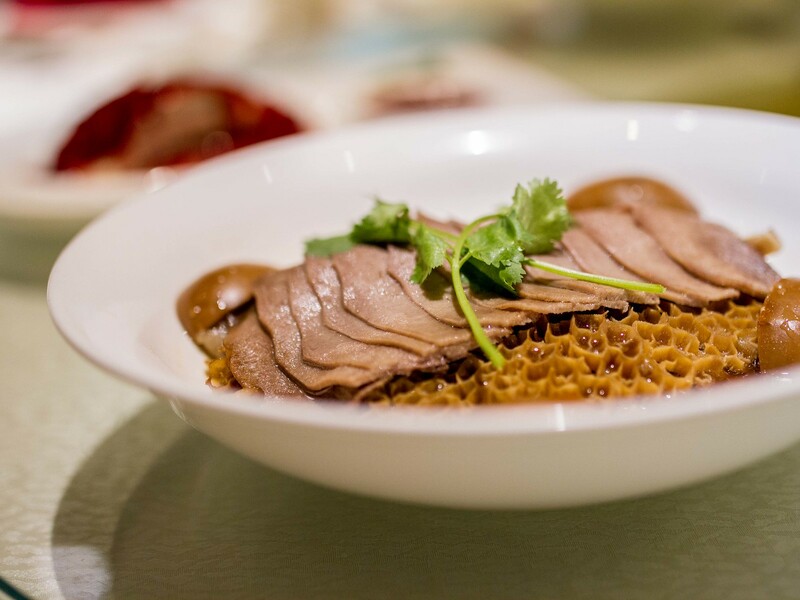 Dinner began with a selection of cold dishes, BBQ pork, pork terrine, drunken chicken, pickled baby cucumbers and my favourite, duck tongue simmered in rice wine. 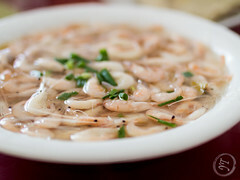 Cold dishes are served at the beginning of a meal and meant to drum up appetites. 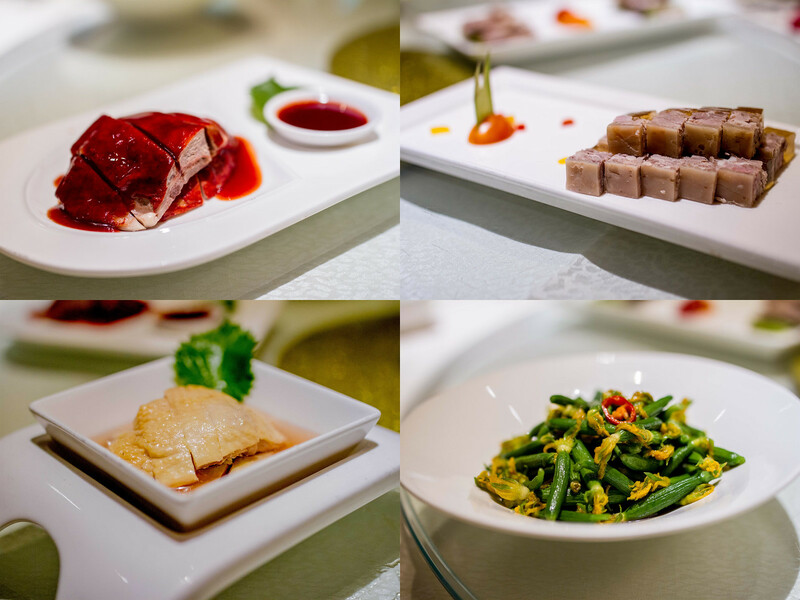 The BBQ pork, pork terrine and drunken chicken were all delicate in flavour and lightly seasoned. 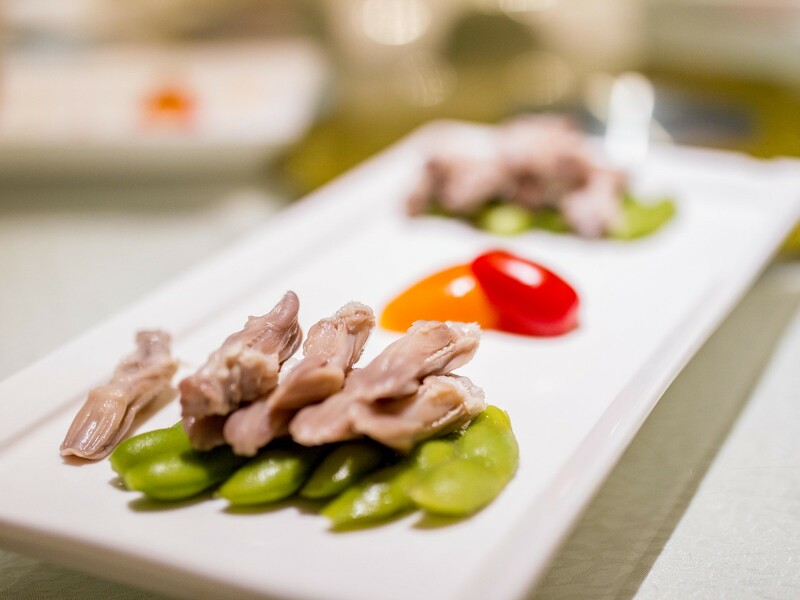 Duck tongue may not be for everyone, but they’re actually similar in taste to chicken wings. The organ is covered in fatty skin that surrounds crunchy cartilage. We also had a platter of offal, which included braised tripe and tongue. 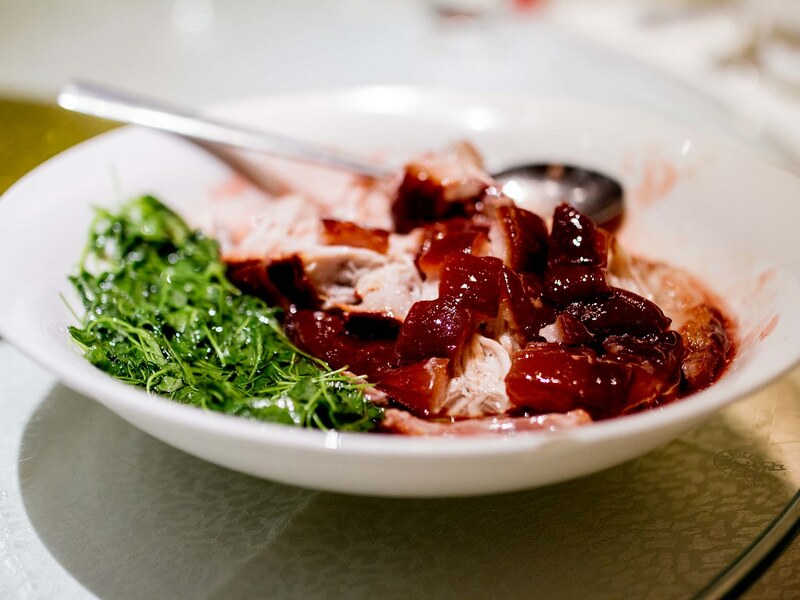 Our first hot dish was Dongpo Pork, a variation of red braised pork from Hangzhou, Suzhou’s southern neighbour. The pork belly was sweet, creamy and melted apart. Next up was a beautifully sculpted squirrel fish, drenched in a sweet and sour sauce. The fish is filleted into sections and then deep fried creating the “fluffy” result. Each tender morsel of fish was encased in a crispy shell, a perfect balance of textures. 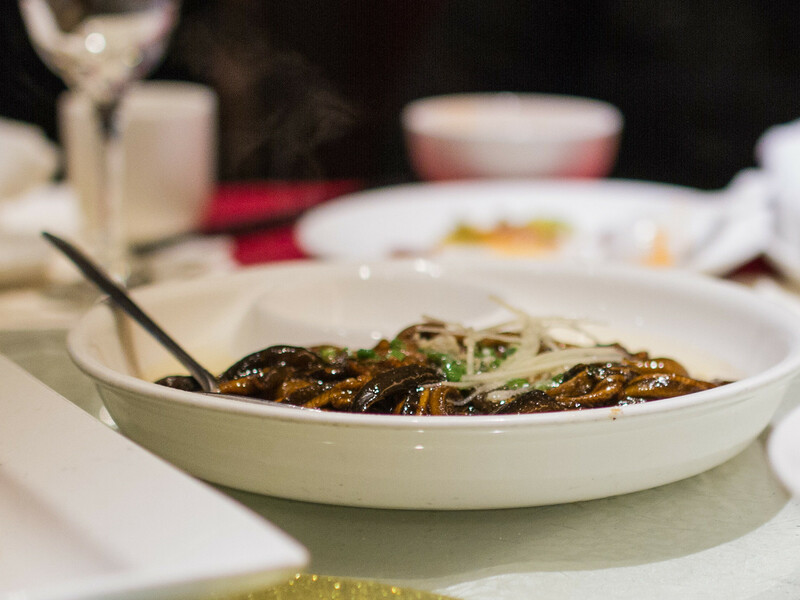 Another traditional Suzhou dish was Guoba (锅巴), the burnt rice that forms at the bottom of a pot when steaming rice. The rice becomes crispy (almost like puffed rice) and takes on a toasted flavour. 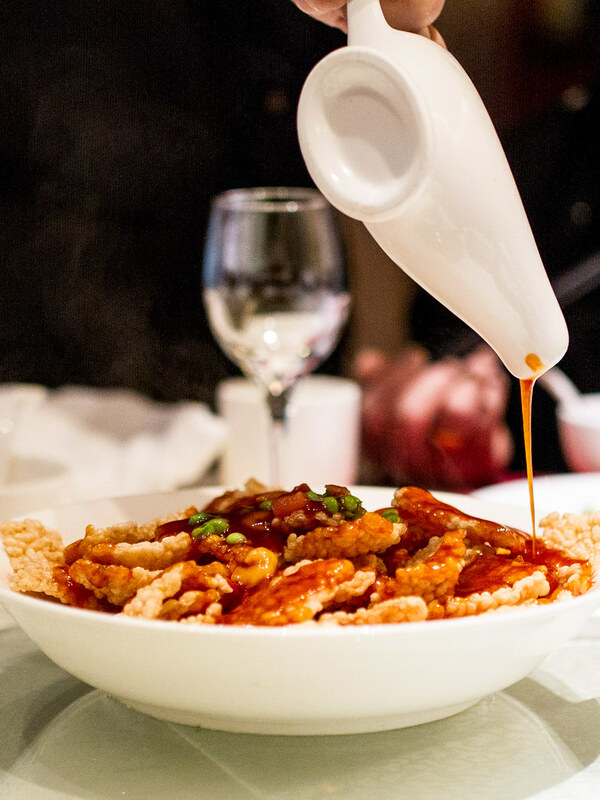 Once the guoba arrived, a sweet and sour sauce was poured on just before serving. 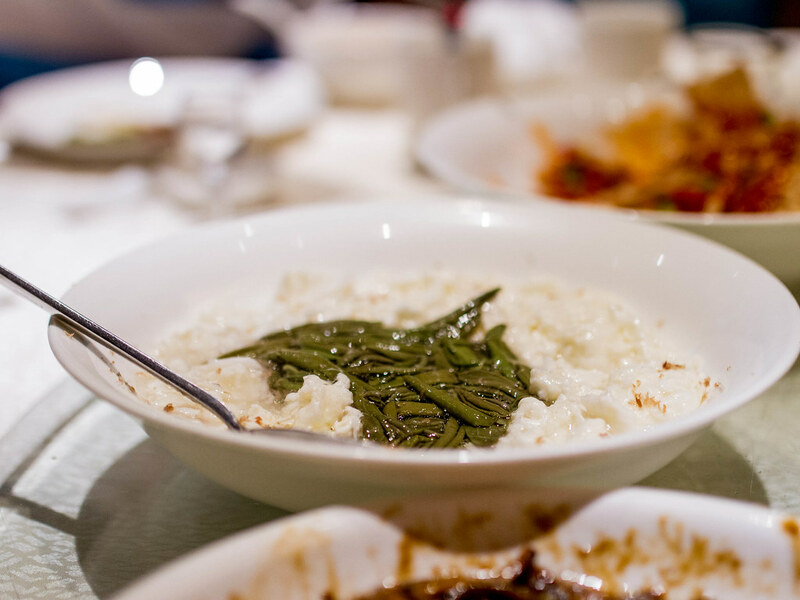 Next was Cracking Eel Paste, a dish made from rice field eels stir fried and served in hot oil. The eel was freshly butchered, and the meat incredibly soft. The soup we tried that night was scrambled egg whites with whitebait fish and a plant local to Lake Tai (太湖莼菜). 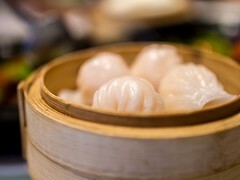 One of the highlights of eating in China was the fresh ingredients. Menus changed with the seasons and local produce was delivered straight from farmers daily. Song He Lou’s delicate and precise cooking techniques showcased these ingredients in the brightest light and I would highly recommend a visit. 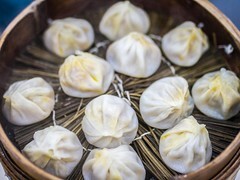 Prices are on the high end for a restaurant in Suzhou (>100 rmb per person) but the experience and food match those of many fine dining restaurants in North America. Reservations are recommended.